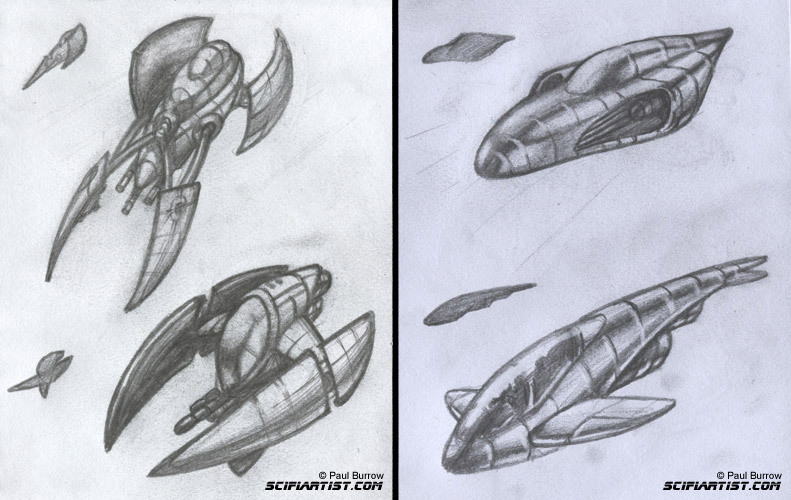 2 more spaceship sketch designs. The first on the left is a basic transport ship. The second a more elegant design for the more priviledged in society. 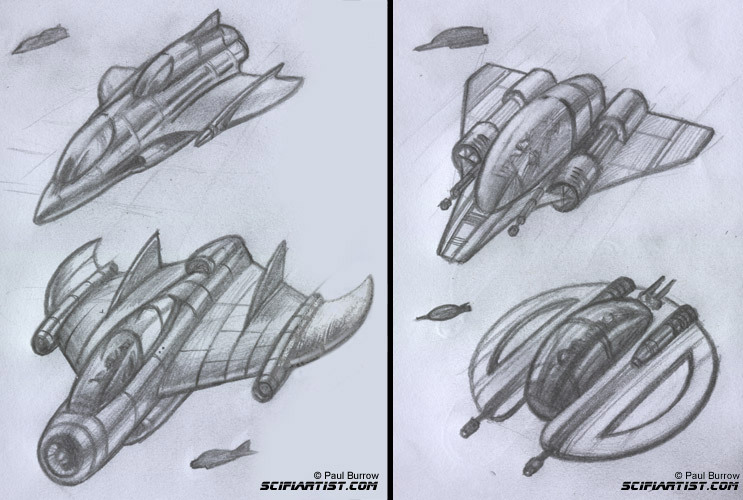 Here are 2 more aircraft designs. I call them sketches as they’re not finished pieces but they are cleaned up with the rough lines removed. The obvious advantage of drawing digitally is the time saved as there’s no need to scan from my sketchpad plus you can improvise and alter the canvas size to fit the drawing. The first is a fighter jet type craft. The second is a cruiser the tiny dot under the shadow represents the scale to 1 person. 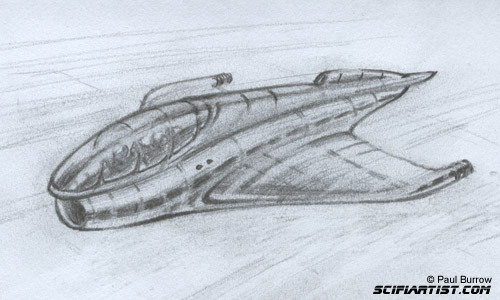 This is a basic drawing which is quick to do but still shows the form of the craft without having to draw too much detail. I find this ideal when playing with different shapes to create things. I find it easier sometimes starting with a dark block and deleting areas out instead of drawing dark lines on a white background. 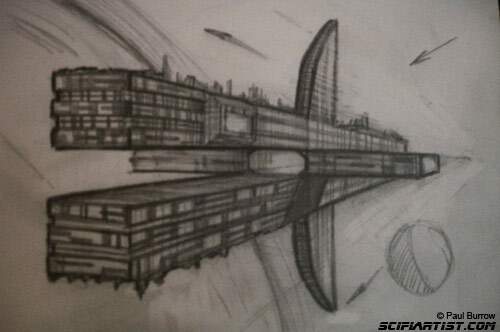 Here’s a new illustration based on one of my spaceship sketch designs posted earlier. 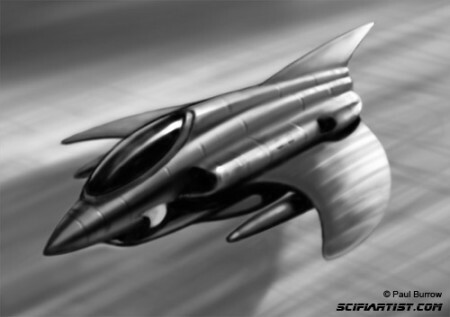 This is a digital painting showing several fighter craft leaving a spacestation ready for patrol around the blue planet below. Click on the image to see a larger version. This is the original design below which inspired the painting. Here a 4 more pencil sketches from my sketchbook. 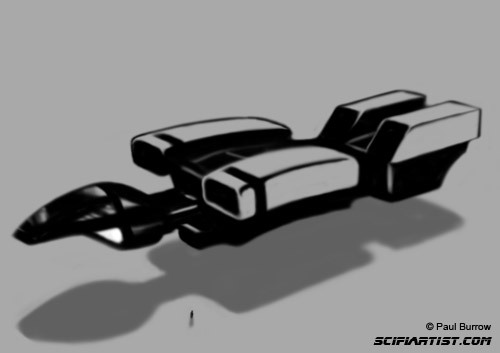 4 more vehicle designs. 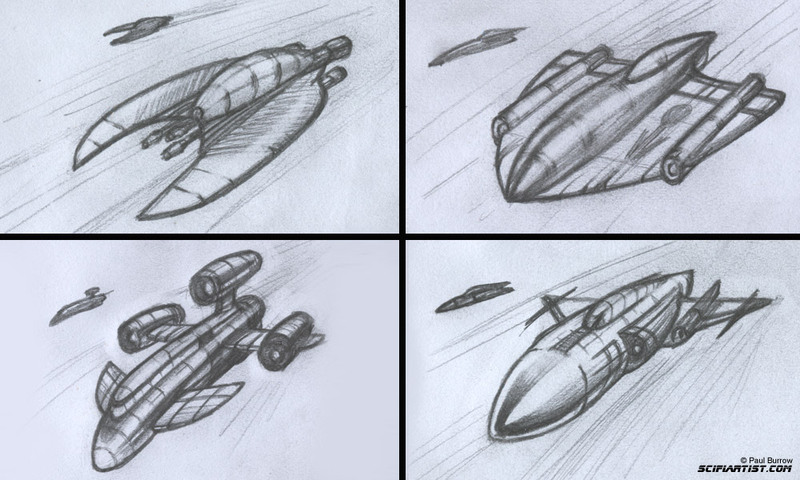 Here are 4 more aircraft/spaceship design sketches. These are pencil drawings from my sketchbook. Time to update my portfolio and there’s no better way than getting into the sketching habit again! This took about 20 minutes. Pencil sketch in an A5 pad. About time I did some more sketching. 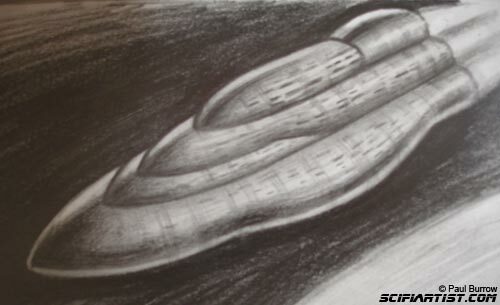 This is a pencil sketch of a space craft.It is permanently in space it’s not able to land on the surface of a planet. 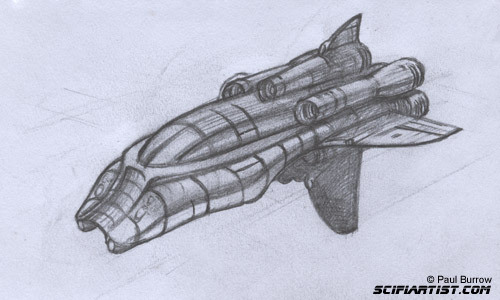 Todays pencil sketch from the sketch book is a space cruiser. 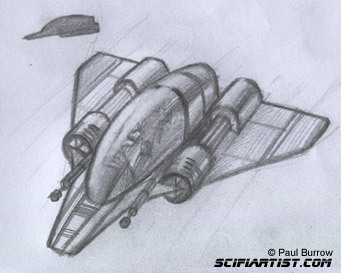 Todays pencil sketch fresh from the sketch book is a space cruiser.